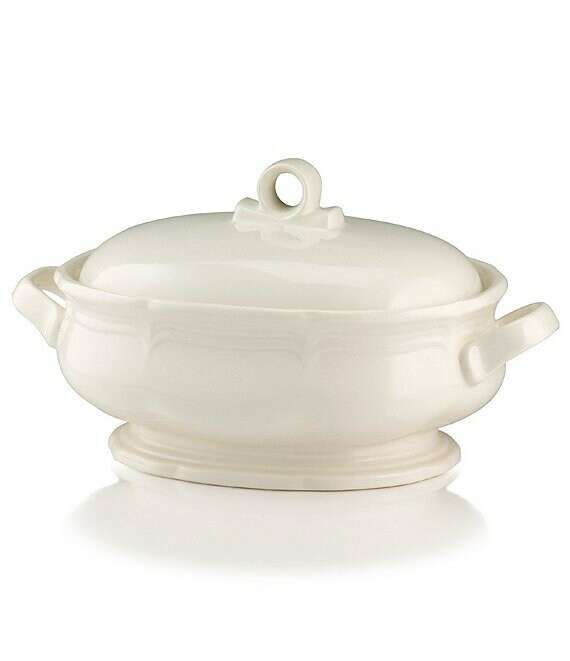 From the French Countryside collection by Mikasa, this pure white stoneware covered casserole offers a popular traditional style with a rippled baroque edge. Approx. 7(H) x 12(W) x 12(L)"; 84-oz. capacity. Dishwasher and microwave safe. Imported.